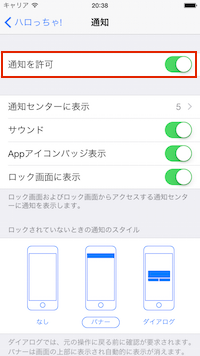 iPhoneの[設定] -> [ハロっちゃ!] -> [通知] で [通知を許可] が ON になっていることを確認してください. If you have any questions or requests, etc., please contact us to e-mail address below. Questions, and you contact might be where I am allowed to post in Q & A format at this page.